In a large saute pan over medium, heat olive oil until warm. Add garlic cloves and saute 30 seconds. 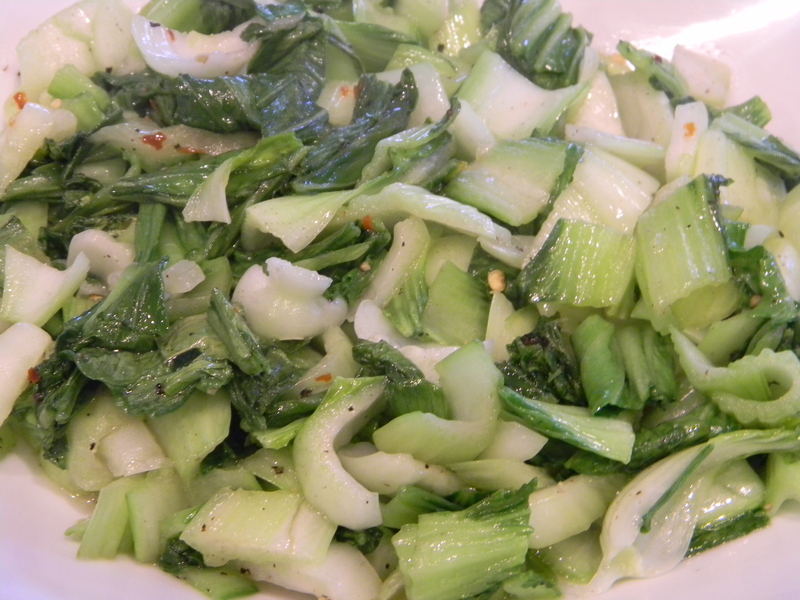 Add bok choy and sautee one minute. Season with salt, pepper, and red pepper flakes. Saute one more minute until softened.